From helping children learn counting and patterns to advanced applications in computer programming and engineering, LEGOs are one of STEM’s greatest assets. In one moment, they are just a pile of primary colors and hard geometric edges, and in the next, they are changing the world. The possibilities are endless, but oftentimes for kids, there is no set road map to those possibilities. So, they have to follow their imaginations! 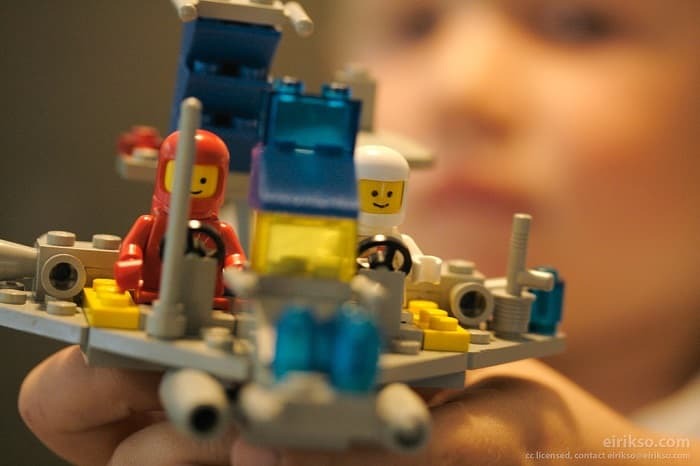 To simply call them “toys” underestimates LEGOs’ potential as tools for personal and professional growth. Yes, I meant to say professional—because as engineering is taking on a whole new course that we “never could have imagined,” it stands to reason (ironically) that authentic imagination actually played a huge role in that progress. Not only do kids need to cultivate their imaginations moving forward, but they also benefit from beginning to understand difficult technical and mechanical concepts very early on—sort of like learning a language starting from a young age and having the advantage of a quickly and eagerly developing brain. But, besides the growth and innovation sweeping by us in Silicon Valley and the rest of the Bay Area, kids need a way to approach learning that they understand and that does serve to spark their interest. LEGOs are one of those ways, especially in combination with an immersive summer camp program that stimulates adjacent parts of their interest and imagination at the same time. Here, they are making new friends and forging imaginative partnerships, they are awakened by traditions that help inform our past and our future, and they are stretching the borders of that uncertain roadmap with diverse activities that call on their creativity, their teamwork, their physical energy, and their interpersonal compassion. LEGO and Robotics programs—and SF Bay Area summer camp programs in general—are helping our kids engineer a well-rounded approach to life and an enduring presence of imagination. Bay Area LEGO Camps Are Built by Our Campers! Science is about bringing in what you know and elements of creativity and situational knowledge and other kinds of expertise that come to bear, and that’s really what scientists do as well. Allowing those other perspectives to become part of what it means to learn science has been shown to engage a lot more students from lots of different backgrounds and help them see this is what they can do too: that they have the ability and the expertise and the knowledge to do it successfully. Camps in the Bay Area are natural hubs of diverse perspectives and sources of inspiration as kids’ ideas and imaginations bounce off of and build on each other’s. Beyond STEM, the Next Generation Science Standards (NGSS) call for more problem-solving and out-of-the-box reasoning through hands-on learning. LEGO Robotics lead right into those goals for kids’ success for now and for the future. LEGO has partnered with National Instruments Corporation, a multinational equipment and software producer, to develop an educational platform for kids to play and explore robotic engineering directly. The goal is to get kids interested in engineering and after-school programs based on the same technology they’ll be using after they’re in school. That’s the voice of Jennifer Dawkins, National Instruments’ STEM program manager. In a way, the Bay Area already has our kids in training for STEM-related jobs of the future. While kids may be thinking about Star Wars or Super Heroes or Minecraft action, woven right into the fun and games are incredible real-world applications. All the while, these learning opportunities are still wide open to our kids’ imaginations. Our camps wouldn’t be what they are without the kids’ genuine interests and creative input. Their future roadmaps are still uncharted, but we can help them to discover opportunities along the way where growth and creative play exist side by side. It’s not too soon to be thinking about Robotics Summer Camp for 2018. Whether campers are new to LEGO activities or they’re seasoned innovators, Kennolyn offers stimulating challenges for all. And all of our campers become valuable members of our camp community of friends. Let’s start talking today about what’s on the horizon for your kids at Kennolyn Camps.